The Mississippi Perinatal Quality Collaborative works along with the activities of the Mississippi State Department of Health, in partnership with hospitals and community organizations like the MS SIDS and Infant Safety Alliance to promote safe sleep education for parents, families and caregivers statewide. 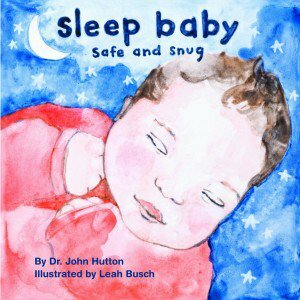 In Mississippi sleep related deaths including suffocations, roll-over accidents and SIDS together are the leading cause of infant death for infants older than 1 month of age. The great majority of these deaths are preventable by following the ABC’S of Safe Sleep with infants sleeping: Alone, on their Back, and in a Crib and a Smoke-free environment. –ALONE: Babies should not sleep in a bed with you or anyone else, bed-sharing is NOT safe. When you put baby in the crib, there should no toys, stuffed animals, blankets, pillows or bumper pads. Not even for naps! Use safe sleep clothing, such as a sleep sack for warmth if needed. –BACK: Science proves placing baby on his/her back is best during sleep, NOT on his/her side NOT on his/her stomach. –CRIB: Babies should always sleep in their own crib, bassinette or portable crib/play yard that conforms to the safety standards of the consumer product safety commission (CPSC). Don’t put baby in the bed with you, or in a couch or chair, or a car seat, stroller, or bouncy chair. –SMOKE-FREE: Babies should be kept away from smoke at all times. Do not let anyone smoke around baby. DOSE is an innovative attempt at eliminating sleep related infant death due to suffocation, strangulation or positional asphyxia by using First Responders to identify and remove hazards while delivering education on scene. First Responders are trained to identify and remove hazards from an infant’s sleep space while on scene during emergency and non-emergency 911 calls.